The MacPorts Project is an open-source community initiative to design an easy-to-use system for compiling, installing, and upgrading either command-line, X11 or Aqua based open-source software on the Mac operating system. To that end we provide the command-line driven MacPorts software package under a 3-Clause BSD License, and through it easy access to thousands of ports that greatly simplify the task of compiling and installing open-source software on your Mac. We provide a single software tree that attempts to track the latest release of every software title (port) we distribute, without splitting them into “stable” Vs. “unstable” branches, targeting mainly OS X El Capitan v10.11 and later (including macOS Mojave v10.14). There are currently 22952 ports in our tree, distributed among 90 different categories, and more are being added on a regular basis. For information on installing MacPorts please see the installation section of this site and explore the myriad of download options we provide and our base system requirements. If you run into any problems installing and/or using MacPorts we also have many options to help you, depending on how you wish to get get in touch with us. Other important help resources are our online documentation, A.K.A The MacPorts Guide, and our Trac Wiki server & bug tracker. 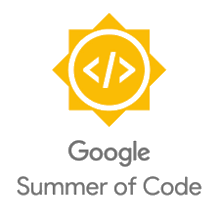 Google Summer of Code is a program to encourage students' participation in Open Source development and offers a stipend to work on the project with an organization for three months. MacPorts has been participating in the program since 2007! We are looking for students to join us in making 2019 the best Summer of Code yet. Applicants will be paired with The MacPorts Project mentors to guide them through the coding tasks. This is a great opportunity to gain exposure to real-world software development scenarios. You don't have to be a proven developer, we'd like to have students who are committed to helping MacPorts. We have a list of ideas with possible tasks for MacPorts and additional information about the process at wiki/SummerOfCode. We are always open to new ideas. Research on the idea, draft an initial proposal and get it reviewed. Explore our mailing lists, either if it is for some general user support or to keep on top of the latest MacPorts developments and commits to our software repository. Check out our Support & Development portal for some bug reporting and live tutorials through the integrated Wiki server. Or simply come join us for a friendly IRC chat if you wish for more direct contact with the people behind it all. If on the other hand you are interested in joining The MacPorts Project in any way, then don't hesitate to contact the project's management team, “PortMgr”, to explain your particular interest and present a formal application. We're always looking for more helping hands that can extend and improve our ports tree and documentation, or take MacPorts itself beyond its current limitations and into new areas of the vast software packaging field. We're eager to hear from you!